Coffee can do wonders for your hair, the caffeine helps to increase circulation thus stimulating the hair for faster growth. The rich anti oxidants helps to repair damage and prevent breakage. Coffee hair rinse helps to clarify your hair naturally, creating shine and softness. 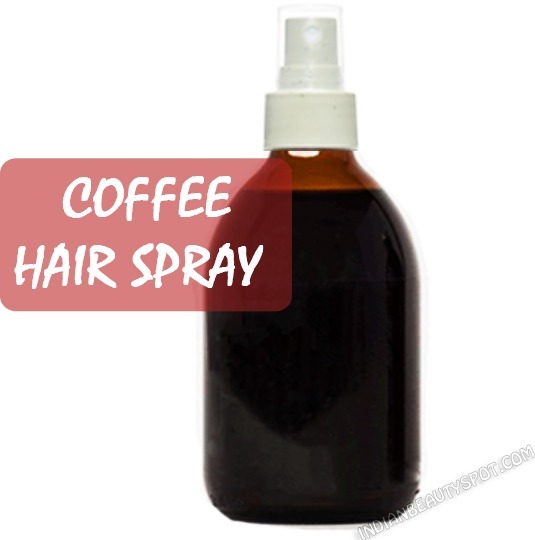 Brew organic black coffee and pour it in a hair spray. While in the shower after you shampoo your hair, spray the coffee to the roots of the hair and gently massage in as a cleansing scalp treatment, let it sit for 10-15mins before you rinse off with warm water.